What we currently refer to as the Nevada-California-Oregon Railway (NCO) was, in fact, a very confused, many-named, underfunded and contrary undertaking. On current maps, it is shown the railroad ran north from Reno to Lakeview Oregon. However, it was originally envisioned as running SOUTH from Wadsworth towards the mining camps of Belmont, Ellsworth, Grantsville, Candelaria, and Belleville. Our ongoing depot restoration project will return our historic 1881 depot to its original appearance. 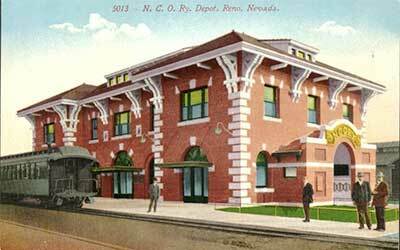 Ours was the first depot built on the Carson & Colorado Railroad, the only passenger depot remaining in Nevada. 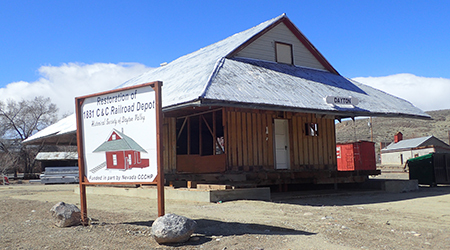 Two others exist in California; after restoration ours will be the only C&C depot returned to its original appearance. 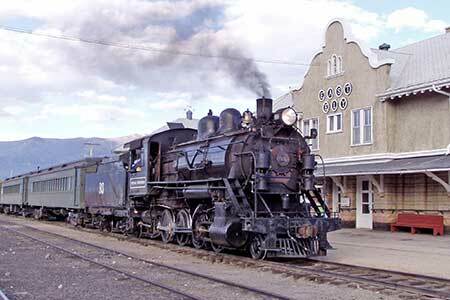 The depot is open for special events; tours can be arranged by email or calling 775-246-9419 or 775-246-0505. Beginning in 1881, the Carson & Colorado narrow-gauge railroad operated from Mound House, where it connected with the standard-gauge Virginia & Truckee, through Dayton, to Keeler California at the southeast end of Owens Lake. In the reputed words of Darius Ogden Mills, one of its founders, the railroad was built “300 miles too long or 300 years too soon”. Soon after the first trains departed in early 1881 they were bringing tons of ore for processing in the many mills in the Dayton area. 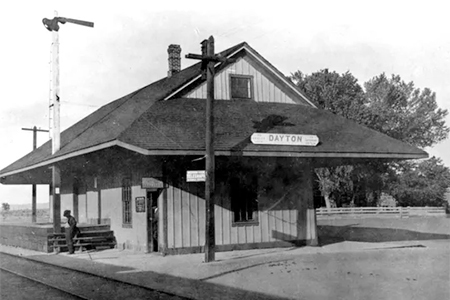 The Dayton depot was not only the first built on the line but was also the pattern for all that followed. Today it is one of only three original C&C passenger depots remaining and the only one in Nevada. When the line from Mound House to Churchill was abandoned in 1934 the Dayton Depot was converted to a private residence. Then, when U.S. Hwy. 50E was widened in the 1950s it was moved out of the right-of-way and across the road to the corner at Main Street, where it continued to serve as a private residence. The Dayton Depot is now owned by Lyon County with a stewardship agreement with the Historical Society of Dayton Valley. Deconstruction of the interior began in early 2016 and the restoration to its original 1880s appearance is expected to be completed well ahead of the 2023 deadline to serve as the “Gateway to the Comstock” Visitor’s Center. In its heyday Virginia City’s V&T Railroad was called “the crookedest railroad in the world.” Today it’s one of the funnest. 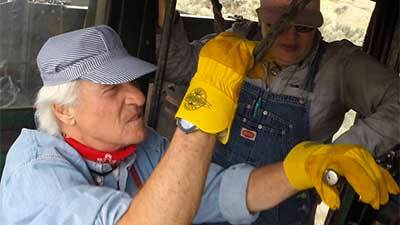 In 1972, Robert C. Gray — a passenger on the last train to Virginia City in 1938 — began rebuilding the V&T. 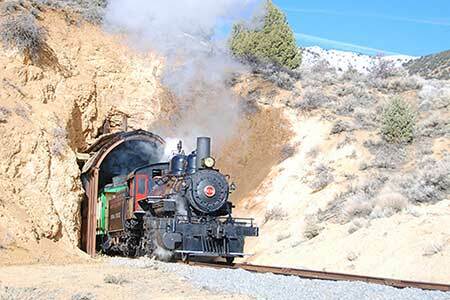 Today the railroad operates a regular May through October schedule from Virginia City to Gold Hill and Carson City with special trains throughout the year. The Nevada Southern Railway runs every weekend on tracks installed to help build Hoover Dam in 1931. Ride in an open air car or air conditioned/ heated Pullman coaches. StoryTime trains are the third Saturday of each month. 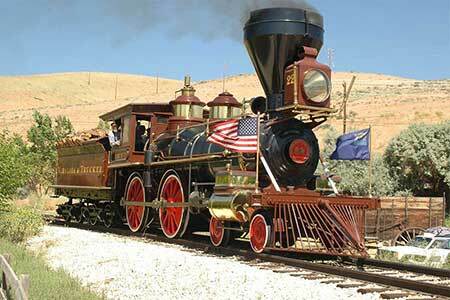 The Nevada State Railroad Museum in Carson City is a collection of splendid 19th century machines made of cast-iron and steel that opened the West. They’re not just to look at. Here is our train ride schedule on iconic trains of the 19th and early 20th centuries. Many of them have been retrieved from owners who acquired them after the railroads themselves were abandoned. The Virginia & Truckee Railroad makes round trips from Carson City – Virginia City from May through October plus special trains like Polar Express and Toast of the Canyon Wine Train. A recent review: We saw many old mines and wild horses on our journey. Virginia City was great. Even if you’re not a train buff this is a great day out. Time stopped at the Nevada Northern Railway, as if the workers went to lunch and never came back. This is touchable history, more than 70 buildings and structures on 56 acres. It’s a working steam railroad. It surrounds you. It’s gritty. It’s dirty. It smells of coal smoke, creosote and sweat. It is the real deal. For more details visit www.nnry.com or give us a call (775) 289-0103. ALL ABOARD! Would you be willing to pay hundreds or even thousands of dollars for an hour or two of fun? 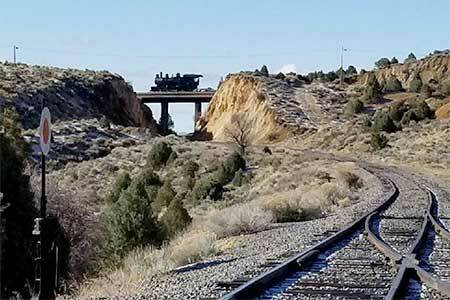 Well, if your idea of fun is to drive a train — yes, a full-size, real-life locomotive with you as the engineer out on the open rails — there’s a deal waiting for you just across the Nevada state line. 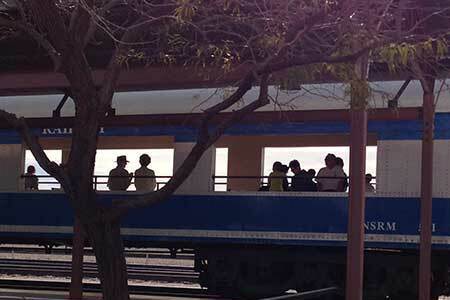 On a recent sunny morning in Ely a train nut took a joyride and it cost just under $1,000. “I love it, hah, hah!” exclaimed Max Batzer as he sat in the engineer’s seat and throttled up an enormous, century-old, steam locomotive. He’s more accustomed to sitting in the back seat of a taxi or sitting behind a desk in Manhattan.